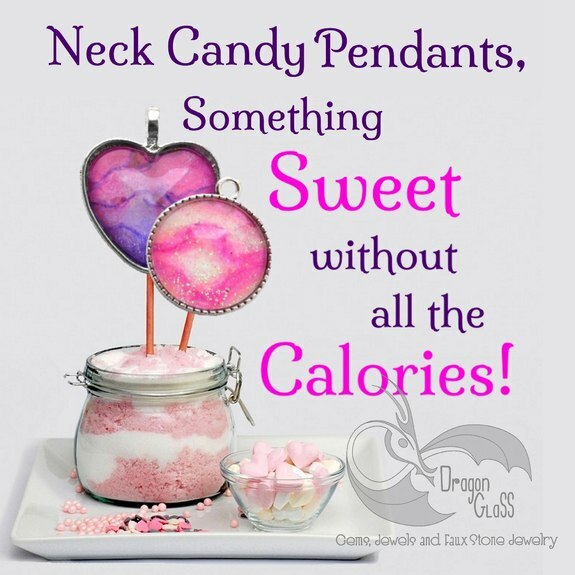 Valentines SWEET "ON" YOU Collection! 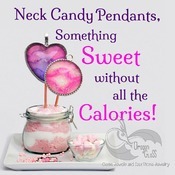 Give her something sweet without all the calories! Let her show off how "Sweet On" Her you are with this beautiful piece of neck candy! 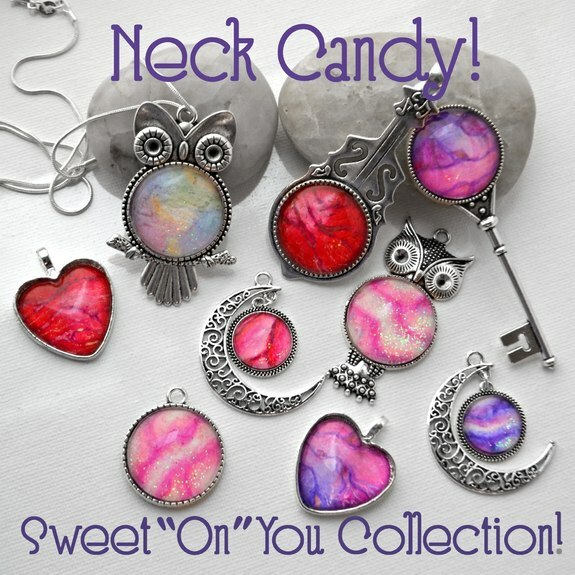 Each piece of Neck Candy is a one of a kind piece of handmade wearable art, making it the perfect Valentines day gift idea! Show her how much you care with a love necklace that is almost as remarkable as she is. 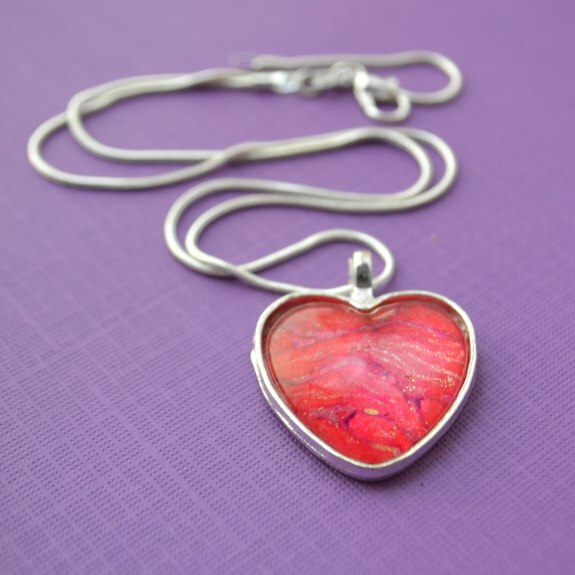 This necklace is an elegant, yet playful heart pendant in a fun "Cinnamon Heart" inspired color palette of reds and gold, delicious enough to satisfy even the biggest sweet tooth! 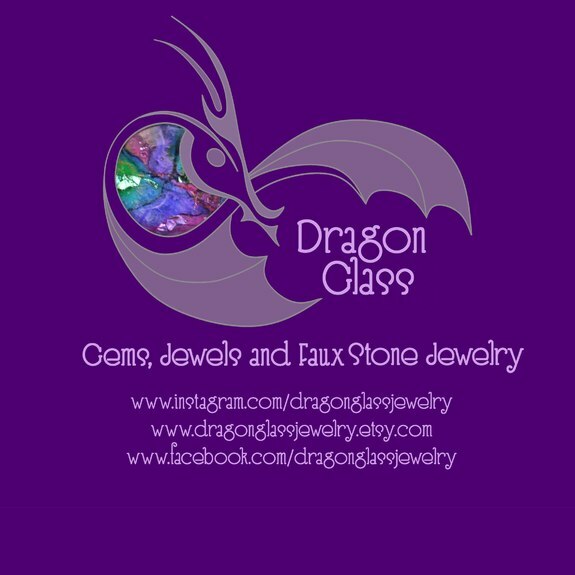 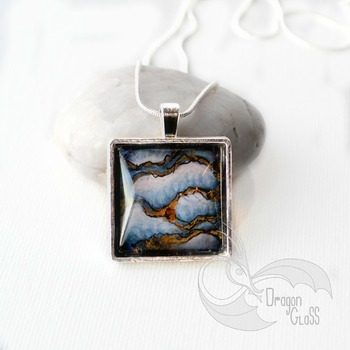 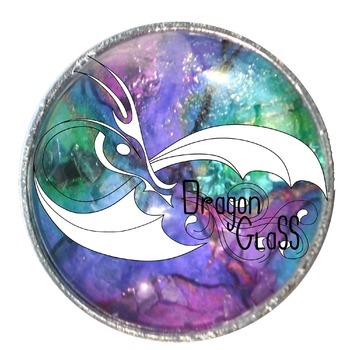 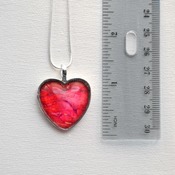 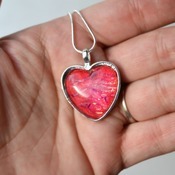 This particular piece of Dragon Glass jewelry is a heart pendant but "Cinnamon Heart" can be found and made into many other settings as well! 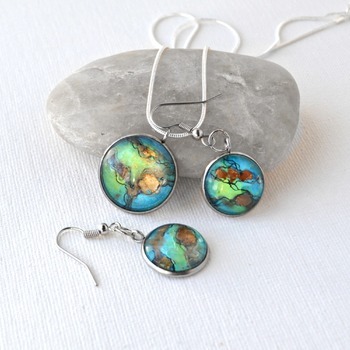 Including 1 inch round, square shaped, Crescent Moon, Guitar and even beautiful delicate dangling earrings. 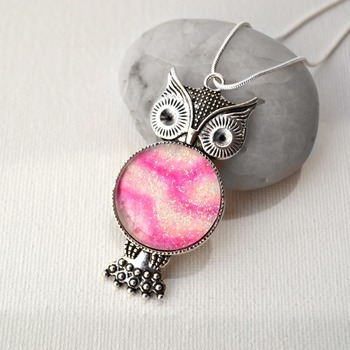 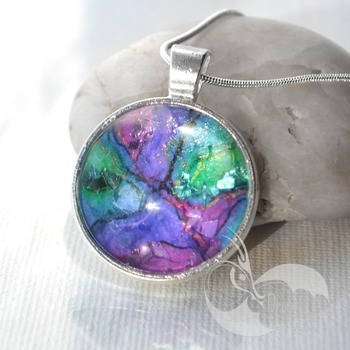 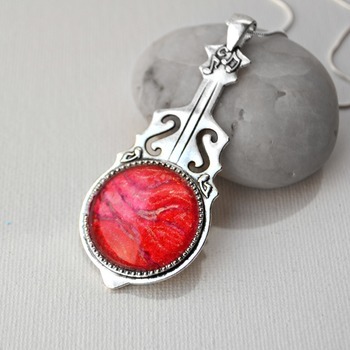 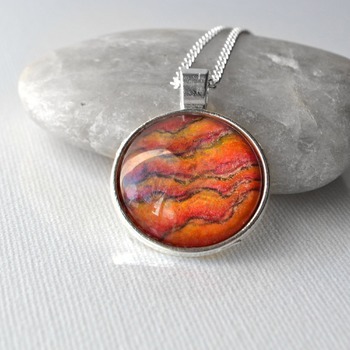 Pendants can be made into a unique key chain or made into handmade necklaces, you choose how you want to use this rare and beautiful gem! 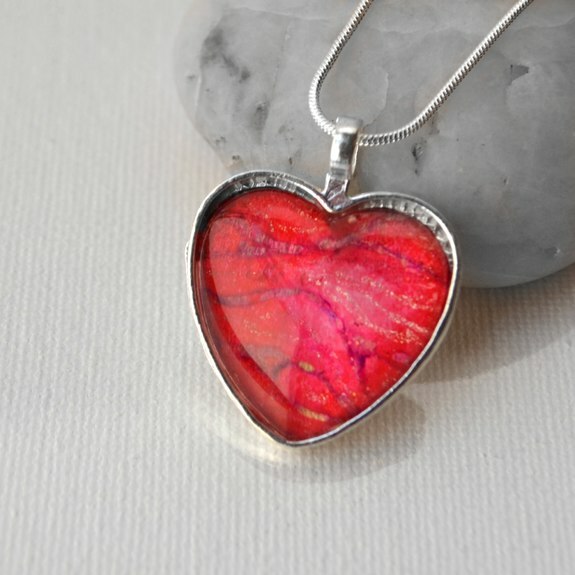 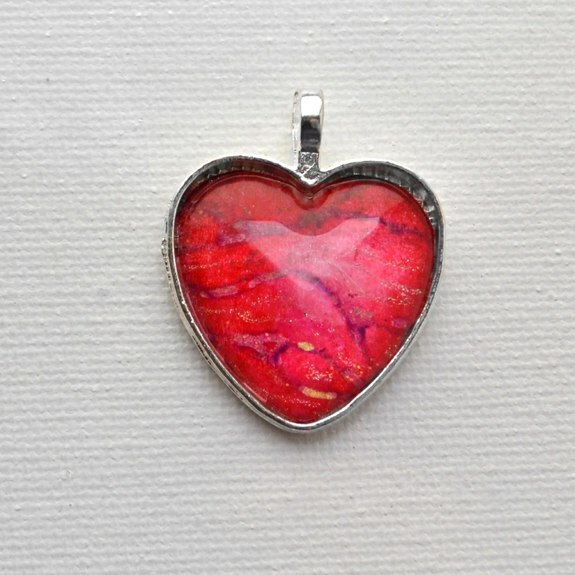 "Cinnamon Heart" jewelry is a shimmery reds and gold hand-drawn Gem set in a silver plated pendant that is as rare and Unique as she is. 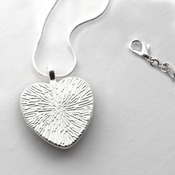 Please indicate upon ordering if this is a gift and enclose the message you wish sent with it! If this is a gift that is going directly to the recipient please make sure that all the shipping info has been updated to reflect that, it will be appropriately gift wrapped just for them! 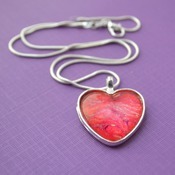 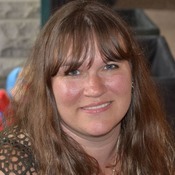 I certainly hope you enjoy your new work of "Sweet" wearable art! 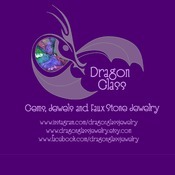 It has been created with a ton of love and passion!